A ton of great new tunes have arrived on the music scene, and I feel it my duty to share with you the best of what's new. Matt Wertz has been on my radar as long as I've been blogging. I've featured his music before, and I think this newest release is by far his best. Weights & Wings is filled with gorgeous melodies, rich guitar backing, and convincing lyrics. I personally love every track and think this is a must buy album [especially at Amazon's $3.99 price ], but if I were forced to choose favorites, I'd say 'Everything Will Be Alright ', 'For The First Time ', and 'Someone Like You ' are at the top. 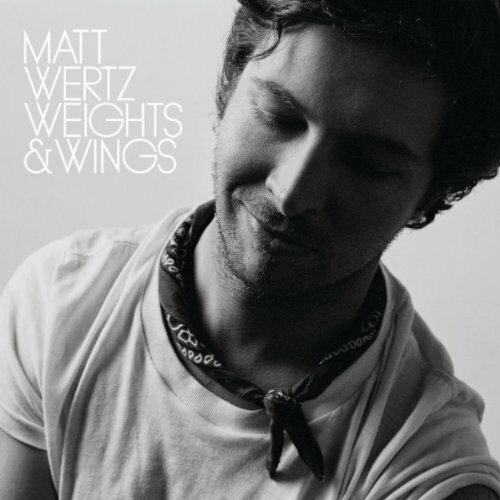 As far as singer/songwriters go, I believe Matt Wertz is one of the finest.